Little Office of the Blessed Virgin Mary: 16. THE HOLY INNOCENTS. "A voice was heard in Rama, Rachel bewailing her children"
"Then Herod," says the holy Gospel,, "perceiving that he was deluded by the, wise men, was exceeding angry; and sending, killed all the men-children that were in Bethlehem, and in the borders thereof, from two years old and under, according to the time, which he had diligently inquired of the wise men." (St. Matt. ii. 16.) What mourning and what terror in all families ! 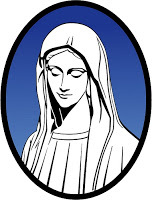 Who can describe the despair of the mothers, and their heart-rending lamentations, rising up towards heaven, with the last cries of the children slain in their arms ? " Then," says the Gospel, " was accomplished that which the Prophet Jeremias had announced in these words: A voice was heard in Rama, lamentation and great mourning; Rachel bewailing her children, and would not be comforted, because they are not." The wicked Herod had filled up the measure of his crimes; he was become the first persecutor of Jesus Christ on earth, the murderer of those innocent victims who began the suffering history of the martyrs. Woe to that hardened sinner, that murderer, against whom cries the blood of children, and the bitter lamentations of their mothers! The justice of God is approaching, that justice which falls and strikes like a thunderbolt, when the criminal has let the hour of mercy pass by. But happy those pure victims, the first to fall for Jesus Christ, in the days of childhood, unstained as yet by sin! Happy the innocents who died in Judea, for the sake of the Infant Jesus, first martyrs of the new law, whose pure voices joined in the praises sung by the just of the old law, when the risen and triumphant Saviour opened to them the gates of heaven! "Hail!" says the Church, in one of her touching hymns, as each year brings back the feast of the Holy Innocents, " Hail! ye flowers of martyrs, whom the persecutor of Jesus destroyed on the very threshold of life, as the stormy wind destroys the budding roses! First victims of Jesus Christ, tender troop of sacrificed lambs; even at the foot of the altar you take in your innocent hands not the toys of earth, but palms and immortal crowns." (Hymn for the Feast of Holy Innocents, "Salvete flores martyrum.") And further on the antiphon repeats: "Innocent babes were slain for Christ, sucklings were killed by a wicked king. Now they follow the Lamb without spot, and cry without ceasing, Glory be to Thee, O Lord." Nothing is more touching than the reverence shown by the Church for these little children slain for the Infant Jesus, for these May roses, scattered by the stormy wind, and borne far from earth, where everything fades, to heaven, where their perfume will last for ever. Does it not seem that God, who multiplies for us the teachings of this holy history, has been pleased, by the touching Gospel narrative, and the homage of the Church, to bring to our minds, together with the thought of the Holy Innocents, the remembrance, at once sad and comforting, of little children who are dead ? Amongst the families to whom God has given the blessing and charge of bringing up several children for Him, there are very few who have not seen one beloved little being taken away in the first fair days of innocence, to go up to heaven as pure as he came from the saving waters of Baptism, and bathed in the tears of his parents. That day is a day of mourning for the family; the silent children look with great tearful eyes at the empty cradle of the little one,. whose smile they had so much loved to see. The father, with his head bent down, thinks also of his angel, who is flown away; and he has less heart for work, because he has one less loved one to support. And the mother! Alas, the poor mother! her heart bleeds, and she weeps, as the mothers of Israel wept, and will not be comforted, because her beloved child is no more. There is not one of us who has not experienced this grief, when God has taken a child from us. Those do not weep less, who with difficulty gain bread for their family, in, the sweat of their brow. Let us then be sure that our Father who is in heaven ever sends hope to soften affliction. Do we sufficiently consider that this child, for whom we weep, is become one of God's angels? Do we consider that this little creature we have rocked in our arms, rejoices in the sight of God, and that, saved by His mercy from the sorrows and temptations of life, it for ever sings His praises with its innocent voice, and can pray for those who are left weeping for its loss ? Its place amongst us long remains empty $ then, little by little, come new occupations; the other children grow up, theft new wants, different events, the consolations and sufferings of our own and our children's life, by slow degrees dim the lively picture of the little angel who prays on high. But would it not be a holy and blessed thought to make the happy child whom God has called back to His own bosom, the guardian of those left on earth, the friend of the family, its intercessor with God, the confidant and depository of our hopes ? Oh what sweetness would this holy practice one day bring to the torn heart of the mother! what balm for her wound! It was God's will that the holy innocents should be the first of the martyrs, the first saints of the new law, the first intercessors for the great Christian family. Why should not each family afflicted by the death of a child, offer it to God as the first-fruits of the flock, as a first saint, whose innocent prayer would render the way to heaven easier for the rest of the family ? To obtain that unspeakable consolation which Christian parents feel in the certainty that their children are angels in heaven, we all know that Baptism is absolutely necessary. If they had not received that great sacrament, by which they are made children of God, they would not enjoy the happiness of heaven. Let us, then, never put off the baptism of our children. Let us procure for them without delay the blessing of so essential a sacrament. Let us not expose them to the danger of being surprised by death without having received holy baptism. Life at that age is frail; and in case of necessity and danger of death, let us remember that any one is permitted to administer baptism. In order to baptize it is only necessary to pour common water on the head of the child, so that the water flows upon the skin, and to pronounce at the same moment these words: " I baptize thee, in the name of the Father, and of the Son, and of the Holy Ghost. Amen'' having the intention to do in that what the Church does. It is necessary that the water should be poured by the same person who pronounces at the same time the holy words of baptism. Let us now return to Herod. What became of that cruel tyrant, whilst the lamentations of the Jewish mothers were rising up to God from Rama? If we believe the account of a pagan author, (Macrpbius, quoted by Bossuet, Elevations sur lea Mysteres.) his own son, together with the other innocents of Bethlehem, was murdered in his nurse's arms. With unspeakable horror the impious king saw his past crimes rise before him. The innocent blood of his wife and his three sons, whom he had sacrificed to unjust suspicions, and of all those in Israel who had dared to resist his innovations upon the law, cried out against him at all hours. But true repentance could not touch his soul, and his remorse ended only in fury. Hated by his family, he threw his eldest son into prison, on suspicion of having attempted to take his father's miserable life. At the same time a horrible disease seized on him. He was devoured by burning ulcers; and, as if he were dead, worms already gnawed his living corpse. His fury redoubled as he approached his death, which all Israel was awaiting as a deliverance. He caused those who ventured to believe a report of his death to be burnt alive; and in order that tears might at least accompany his funeral, he caused the most eminent men of Judea to be collected in the circus, with orders to put them to death as soon as his eyes were closed. (History of the New Testament, by M. Vallon.) Five days after having witnessed the death of the son who should have been his heir, devoured by suffering, terror, and despair, he attempted to kill himself, and at length expired, a horror to God, to men, and to himself. Who would dare to say that such a death was the end of his sufferings ? Let us turn away our eyes from this horrible picture. The death of the sinner is the most hideous of sights. Let us, however, consider that this life, the end of which I have just described to you, was surrounded by the most constant and extraordinary earthly success; that all the revolutions that at that time shook the great Roman Empire left Herod standing, powerful and feared; and lastly, that this man, whom no one resisted with impunity, was miserable throughout his life, as at his last hour, and that his deserved, sufferings gained for him but a death of despair. Let us remember this, and let us bless the salutary adversities, the hardships, and the contradictions, in the midst of which we preserve a good conscience, and gain the hope of a peaceful death in the bosom of God. Let us often think of that hour which will be the consequence and the summing up of our whole lives: holy and sweet if we have been faithful to the first promises of our baptism; fearful if we have the misery of being unrepentant sinners. Holy Virgin Mary, thou whose powerful intercession in the hour of death the Church teaches us daily to ask, obtain for us the constant thought of that hour, to guide, enlighten, and console us here below, in order that death may be to us the beginning of true life. Obtain for us grace to live as we one day hope to die. Death has no terror, except through sin. Make us fly from sin, and love the thought of death; refresh our souls often with the remembrance of the holy innocents, who sing at the foot of thy throne, of the young souls of children whom God in His mercy still calls to give them the palm without the combat. " Of such," saith our Saviour, " is the kingdom of heaven." 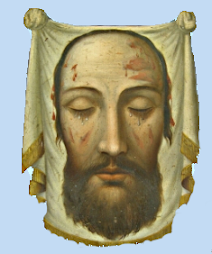 May repentance with us take the place of innocence, and may our happy children, members of God's triumphant Church, sing at the hour of our death the canticles of joy which the Church sung while we were weeping for them here below. Amen. To be constantly thinking how to live well, in order to die well.